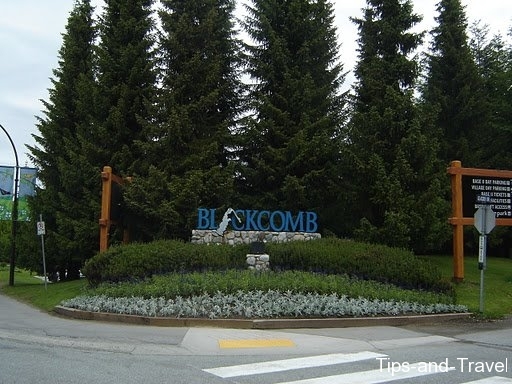 Whistler is a tourist town in British Colombia, Canada; in the mountain massif of the coast mountains and home to the renowned Whistler Blackcomb Winter sports resort. having allowed in part the Winter Olympics and Paralympics in 2010. Located at 120 km north of Vancouver on Highway 99, known as ‘Sea to sky highway, which runs along the Pacific coast and Howe Bay. The Whistler Mountaineer train joins it to Vancouver. At its foundation, the city was first called Alta-Lake due to Summit Lake which was the highest of the lakes in the region. At the beginning of the 20th century the mountain London Mountain was known popularly as Whistler because of Rocky Mountain Marmot that emits its hissing; officially named like that in 1965. 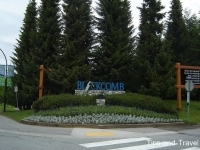 Whistler is located in the traditional territory of Indians Squamish and Lil’Wat. It is the largest ski area in America with, according to some fans, slopes better and steeper than those of Switzerland, Austria, Italy or France, thanks to the impressive quantities of snow that falls each year. There are two mountains: Mountain Wghistler (2182 m) and Blackcomb Peak (2440 m). There are 38 ski lifts of latest technology. The highest point of the area at 2240 m offers a vertical drop more of 1500 m to reach the village. It is possible to ski in the summer on the Blackcomb glacier. 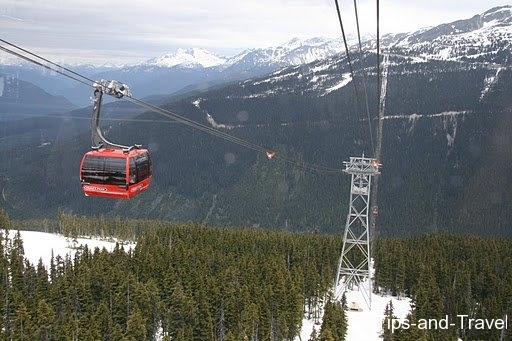 Its Peak 2 Peak ski lift connects the two peaks of the area, being the longest in the world (4, 4km) as well as the longest serving deprived of support (3.024 km). 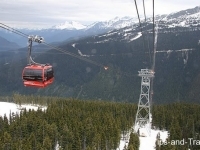 On the 28 cabins, 2 cabins are equipped with funds glazed allowing to observe the village of Whistler as the cabin in the middle rises to 436 m from the ground. If you are not a fan of skiing, the resort offers many other activities in summer: mountain biking, golf, swimming, fishing, even as sled dog and snowmobiling in winter. If you would like to know a little more about the history of the native people of the region, visit the Squamish cultural centre. The building on three levels, situated in the heart of a 1.76 hectare woodlot, is anchored by massive Douglas-fir wood beams, while large windows give access to the spectacular mountain scenery of the region.